Restore Thinner helps thin out thickened polishes without compromising color quality. 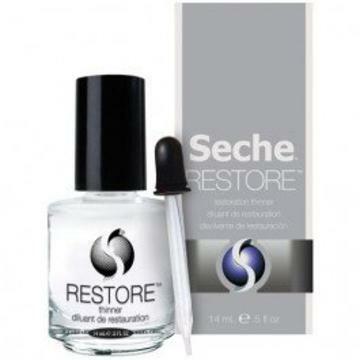 Seche Restore Thinner is the only thinner to thin a bottle of Seche Vite to its original consistency. It will not diminish shine or dull colors, and only replaces those ingredients which have evaporated from the bottle.